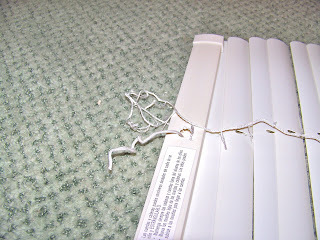 I personally love the look of roman shades but I hate how expensive they are. You can find some inexpensive ones but I usually only like the ones that are way out of my budget. With our bathroom project coming to a close I decided to bite the bullet and try to make my own. I went to Hancock Fabric which has a great remnant bin that has fabric smaller than 3 yards for $5 a yard (which is a huge markdown). 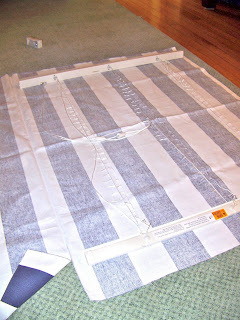 I wanted a striped blue fabric and I was lucky to find exactly what I was looking for. I got a yard to be safe but ended up using only half a yard so I have some fabric left for a future project. I then picked up a cheap venetian blind for $2.50 and fabric glue for $10 (we could only find a huge bottle so I have a lot left over). Then it was time to cross my fingers and start cutting! 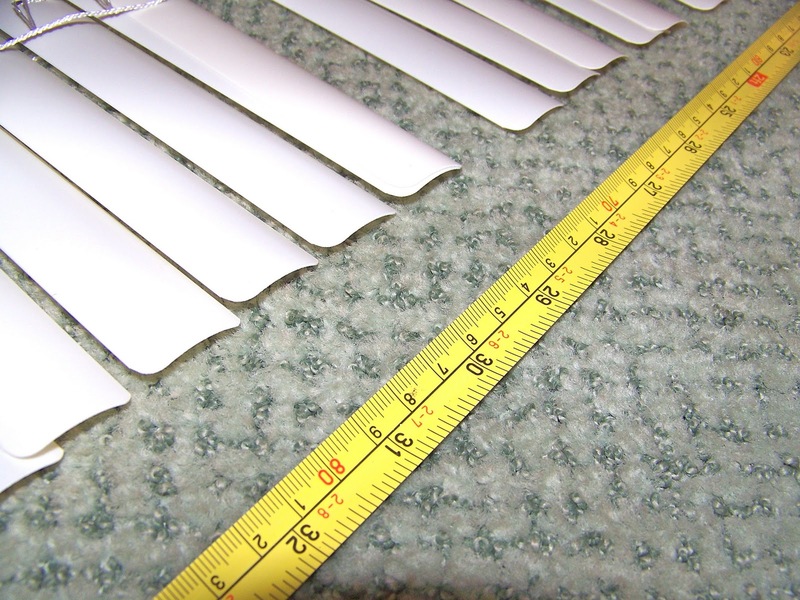 Then I cut all of the horizontal support pieces making sure not to cut the center string. 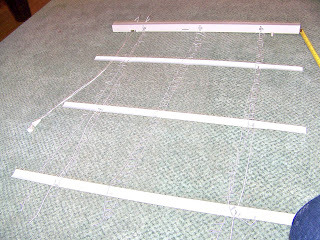 Then I unplugged the bottom and cut the remaining horizontal pieces. 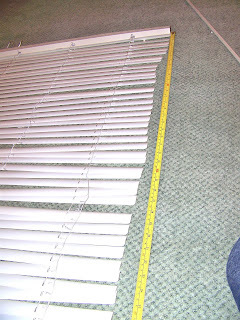 I measured how long I wanted the curtain, which was 30 inches from the top down. And removed all the slats below that point. I then cut all of the strings a little longer than the bottom slat so that I could reattach the bottom piece. 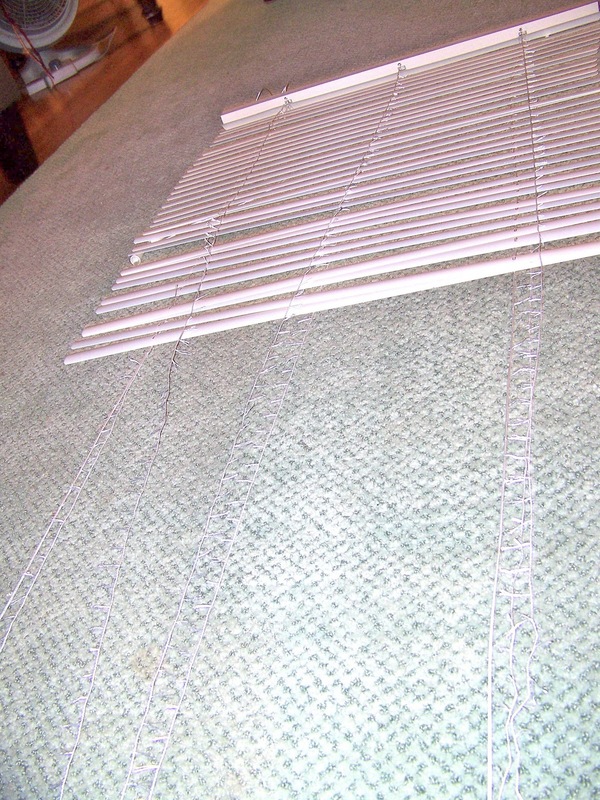 Once the strings were the correct length, I took off the remaining slats leaving just enough so that I would get the correct number of folds. You can choose how many folds you want. I decided I wanted four so I left 3 slats (the bottom piece adds the extra fold). At this point you can reattach the bottom of the blind. 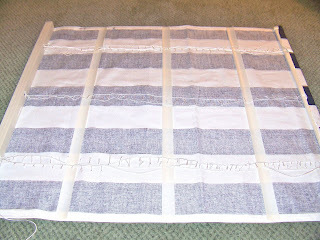 I then put the fabric face down and put the blind on top of it. 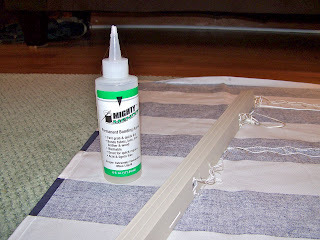 I cut the fabric a little bigger than the blind so that I could hem it with the fabric glue. I then folded over the edges and used the glue to "hem" all four sides. 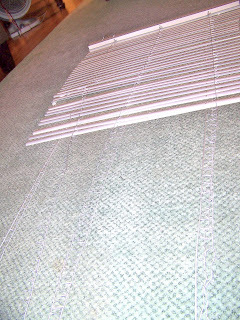 Then it was time to glue the top and the bottom to the blind and glue the slats to the fabric with the correct separation. You need to make sure that you don't glue the middle string or the hole otherwise it won't go up and down. 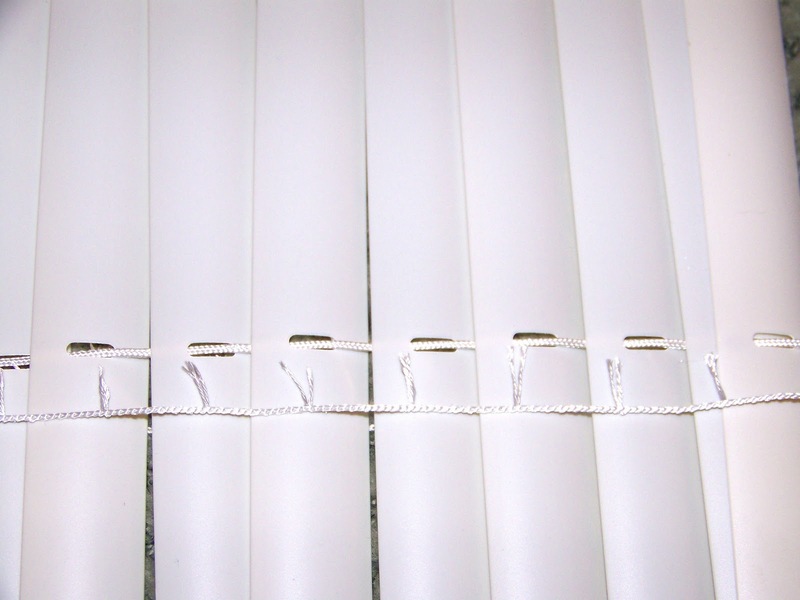 Lastly you can trim off the two side strings since at this point they aren't doing anything. 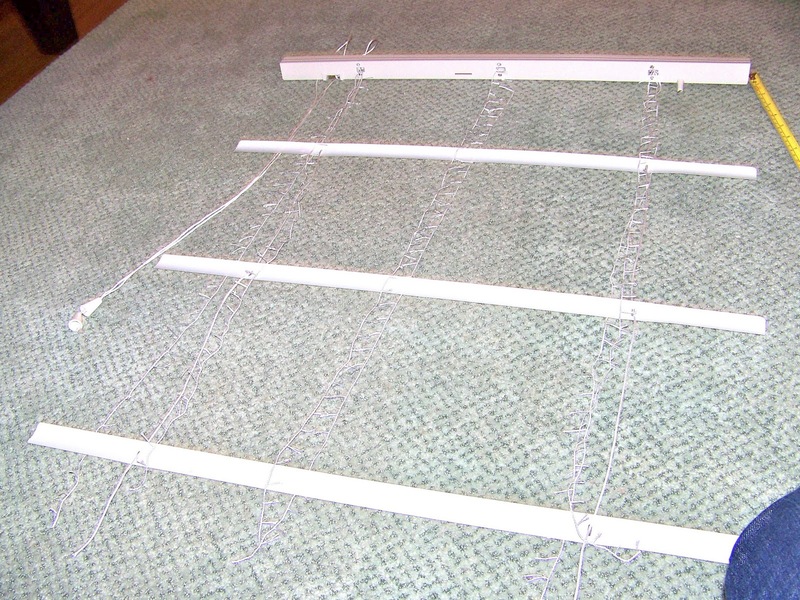 To hang the blind I just followed the directions that came with the blind. I hung it on the outside of the window. And that was it! 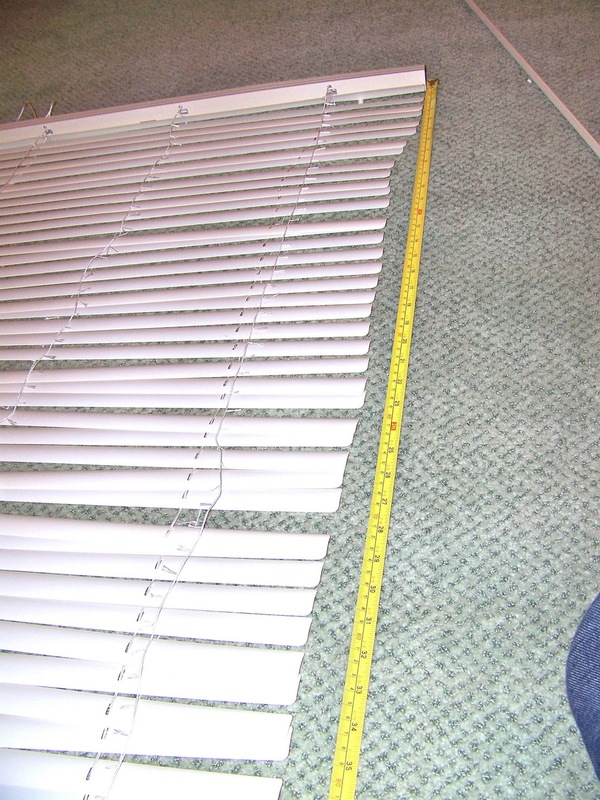 It took less than an hour and for basically $20 I got the materials for 2 curtains (even though I just made one). I really love how it turned out and I really love how I can now make shades out of whatever fabric I want! This is so adorable! I love it. I'm thinking about doing something like this in my little boys room - great inspiration! This is really brilliant -- kudos! I've been wanting to try this, and you made it look so easy that maybe I will now. I'm so glad I found this tutorial (serenity now). 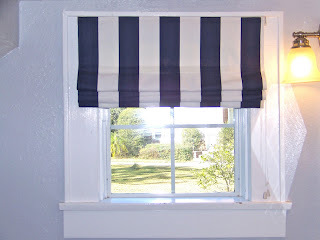 I need to buy or make 5 roman shades! Thank you :) CUte pups on your sidebar! Thanks! Good luck with your roman shades! Thanks for the great tutorial. 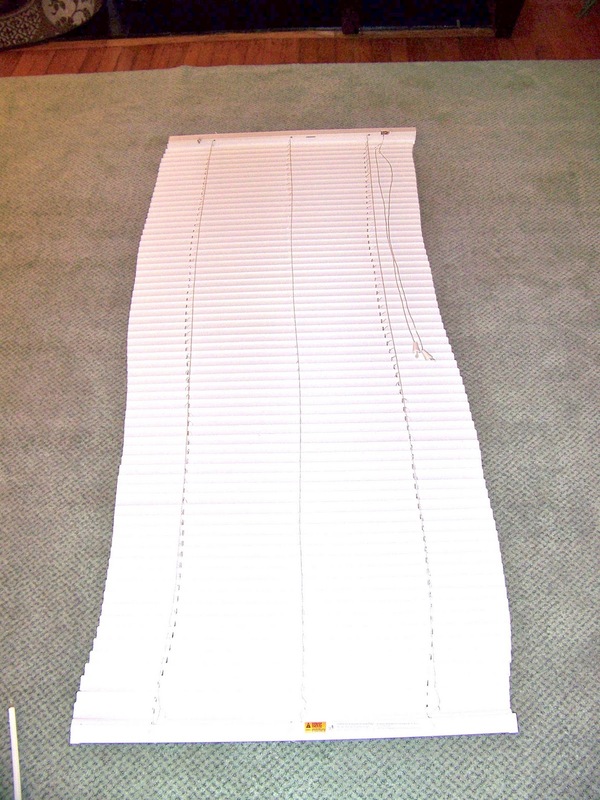 You picked the perfect fabric as well. I will definitely have to try this. what a great idea..love it! stopping by from abeachcottage. 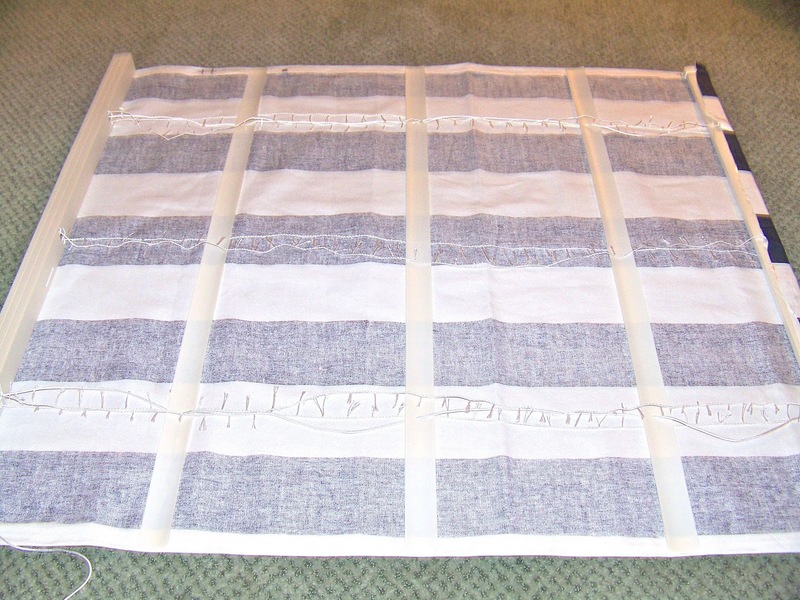 Love your DIY roman shade! Great idea! I've never seen it done this way before! Thanks for sharing. This is incredible!!! I have been trying to figure out what to do in my dining room....husband didn't want curtains and I HATE the cheap blinds we have up....Your a genius!!!!! Can't wait to try this!!! 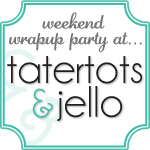 I will be using drop cloths! I have been looking for a tutorial like this all over the internet!! Thanks so much! 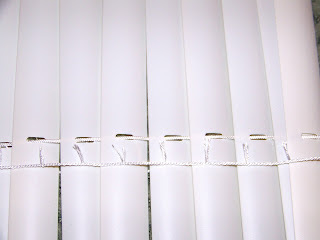 By the way, where did you get $2.00 blinds from?? I'm jealous! I found them at Walmart. Our window is pretty small so I was able to get away with the super cheap ones but even the wider ones weren't too bad price wise! I actually just checked there on a whim and was super happy to find them so inexpensive since I hadn't found any others for a reasonable price to then rip apart. Awesome! 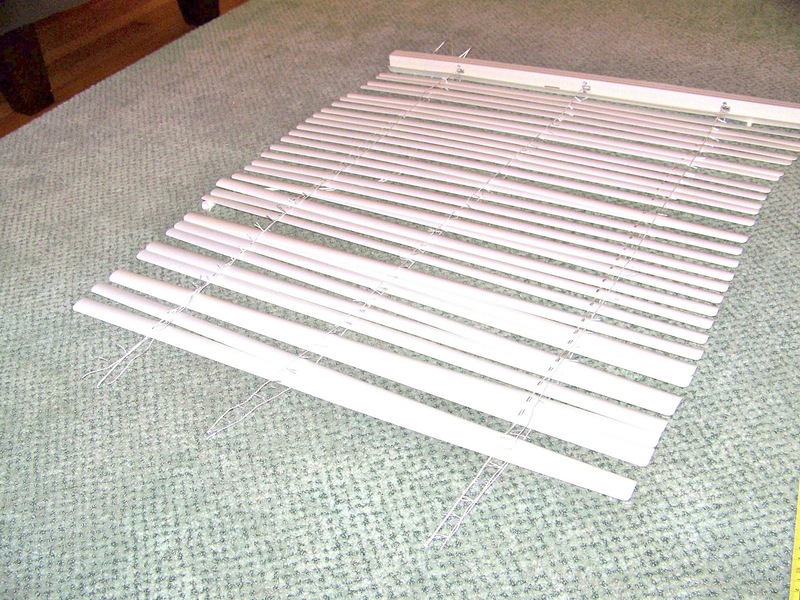 I've wanted to make some forever... never thought about using a cheap blind. That saves a lot of work! Wow you make it so easy and clear....easy to follow.